"So many things are not obvious unless and until you start looking critically. obvious until we started exploring for these carefully and systematically." Virender Rehan, MD, is Chief, Division of Neonatology, Professor of Pediatrics, Director, Neonatal Intensive Care Unit at Harbor-UCLA, as well as a busy researcher. His research interests include neonatal lung injury and repair, the role of the cell in evolutionary biology, and the application of the evolutionary science to contemporary biology and medicine. 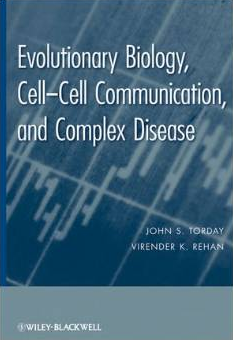 He recently co-authored a landmark book entitled "Evolutionary Biology, Cell-Cell Communication and Complex Disease," a ‘primer’ for mechanistic thinking in evolution and medicine. 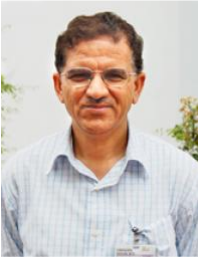 In 2012, Dr. Rehan and his team published a study, “Perinatal nicotine exposure induces asthma in second generation offspring” in BioMed Central Medicine reporting on intergenerational effects of gestational exposure to nicotine in rats. Dr. Rehan showed that if pregnant rats are exposed to nicotine, not only will their offspring develop the asthma induced by nicotine, so will the offspring of those offspring. A subsequent study published in 2013 confirmed transmission to the following generation as well. I am impressed that somebody who spends his days with neonates and specializes in their pulmonary health would be thinking about bigger issues in multigenerational transmission and developmental biology. Since you are a clinician, how did you come to look at generational effects of smoking? I have been studying feto-neonatal lung maturation for now more than two decades, examining it from a variety of angles, but my initial focus and actually still quite a bit of focus is on looking at the lung maturation of preemies. A lot of impetus in terms of understanding the lung development is to figure out how we can reduce risks for chronic lung disease, which afflicts a significant proportion of infants born prematurely. One component of chronic lung disease seen in children is a consequence of exposure to maternal smoke during and after pregnancy. I also have a personal history of asthma in my family, my mom actually died while being treated for asthma about 20 years back and my two kids, twins born prematurely, suffered from moderately severe asthma during their early childhood years. It is very intriguing that the incidence of chronic lung disease and asthma has consistently increased decade after decade without any good explanation. This is even more intriguing since we know that exposure to smoke during pregnancy, which is a well-established risk factor for childhood asthma, has been decreasing since 1990s. Interestingly, the prevalence of smoking in general as well as during pregnancy has decreased but paradoxically the prevalence of childhood asthma has actually increased. So you thought about generational possibilities. Yes, I was curious about this paradox, making me explore this interesting phenomenon more closely. Early on, it became clear that although the rising rates of childhood asthma could in part be explained by other extraneous factors, but this didn’t explain the whole story. I thought that there could also be a cumulative or multiplier effect of smoke exposure, built in our genome, which could get transmitted from generation to generation. In other words, therecould be a residual and lingering effect of smoke exposure in earlier generations that could be carried on to subsequent generations. About 10-15 years back, other studies started emerging on similar lines which were showing or contemplating similar kinds of scenarios with the effects of exposure to other perinatal stresses. So with this in mind, we started examining the transgenerational transmission asthma in a rat model of perinatal nicotine exposure. What were the major findings of your study, and what surprised you? We exposed pregnant rat dams, which we call F0 generation, to nicotine, starting at day six of gestation, and we continued it throughout pregnancy as well as during the lactation period to postnatal day 21, when the pups, which we call F1, are weaned. We looked at their lungs, from functional, structural, and molecular points of view. Then we also looked at the F2 and F3 generations as well, i.e., the grandchildren, and the great-grandkids of the original nicotine-exposed dams. "When we looked the molecular profiling of certain lung cells that we think play an important role in chronic lung disease/asthma, that was also dramatically different, again in F1, F2 and F3." The first time my research associate brought the Western blots to me that probed for asthma markers in the lungs of F1 and F3 generation pups, I was amazed, I could not believe what I saw. There were remarkable findings in the F3 lungs—I did not expect to see such clear differences. What we saw was an evidence of asthma phenotype in the lungs of not only the F1, but also in F2 and F3 generation pups that were descendants of the nicotine exposed dams in F0 generation. We also found that these findings were more severe in males. In fact, when we compared our findings in males and females, specifically, examining changes in both the upper and lower airways, the increased predisposition to asthma in upper airway was seen exclusively in males. Furthermore, when we looked the molecular profiling of certain lung cells that we think play an important role in chronic lung disease/asthma, that was also dramatically different, again in F1, F2 and F3 nicotine-exposed (in F0 gestation) versus controls. And you found different epigenetic marks became programmed into the germline. How was the fetal germline affected by the nicotine exposure? We looked at DNA methylation as well as histone acetylation of both H3 and H4. We saw that global DNA methylation increased in the testes, decreased in the ovaries, but did not change in the lungs. H3 acetylation increased in the lungs and testes but did not change in the ovaries. H4 acetylation decreased in the lungs but increased in the testes and ovaries. We also found something very exciting and translationally extremely important, i.e., that with a targeted molecular intervention, we were able to block the transmission of asthma, at least up to F1 and F2 generations. 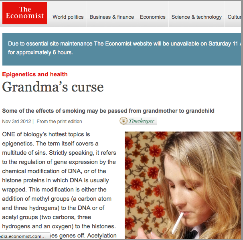 That meant, normalization of nicotine-mediated epigenetic changes in the germline by our specific intervention blocked the transmission of asthma phenotype to subsequent generations, setting precedence for a novel approach to prevent childhood asthma. What was the molecular intervention? A class of drugs, peroxisome proliferator-activated receptor gamma (PPARγ) agonists, which activates the nuclear transcription factor PPARγ, was used (we used rosiglitazone). We have shown that epigenetic changes in germ cells, both in the testes and ovaries of F1 generation rats, are blocked with this intervention. So this makes us believe that by blocking epigenetic changes or reprogramming caused by nicotine might block the transgenerational transmission of asthma. We haven’t examined the same thing in the F3 generation as yet. But, by understanding the molecular mechanisms that might be involved, whether epigenetically or via some other mechanism, we may start thinking about targeted molecular intervention, not only for asthma, but also for the other intergenerationally, epigenetically mediated conditions. We want to extend our animal studies to humans, and therefore, we have a study underway in China looking at a variety of epigenetic markers in a large cohort of infants following antenatal exposure to maternal/paternal smoke. However, because of many confounders in the F1s and F2s, it’s extremely hard to do multigenerational studies in humans. Your studies tested nicotine, but what about other components of cigarette smoke? In the beginning, we tested cigarette smoke and nicotine to prove the validity of using nicotine in our model, but in the majority of the subsequent studies we have used nicotine. Please note that there is quite a bit of literature suggesting that nicotine can be used as a model of smoke exposure particularly in the setting of fetal exposure to maternal smoke, since nicotine is readily transmitted across placenta. We also know that nicotine gets concentrated in amniotic fluid, and in many organs of the fetus, including lungs, brain and other tissues. We also know that when we take lung tissue and treat it with nicotine directly, it gives a similar kind of phenotype that we see with smoke exposure. So given all this, it is not surprising that perinatal nicotine exposure is well-accepted to use as a surrogate for smoke exposure. Having said that, there is absolutely no argument that using whole smoke would be a better mimic of what happens in real life. My understanding is that that in the U.S., maternal smoking peaked in about 1968, and I saw CDC numbers indicating 16% of women are still smoking. So in light of the known toxicity of cigarette smoke it’s somewhat surprising there hasn’t been generational follow-ups in human cohorts. You are right; there wasn’t much awareness of germline and generational epigenetics 20 years back, when studies on this topic started appearing. I think there will be lot more studies coming out in this direction since this is an emerging field, which is only in its infancy. But, again, it is important to recognize that unlike the animal models, in human cohorts there are many confounders in the intervening generations, complicating this line of research. How have your colleagues responded to your studies? What is some of your more recent work? Just last month, we published new data in the American Journal of Physiology (Lung) showing the reversal of nicotine-induced asthma in our animal model. So not only did we show blockage of the transmission of asthma, but also its reversal even when the proposed intervention was started postnatally- we showed that these effects were reversed at the molecular, structural, and functional levels; however, this was shown in the F1 pups but I have little doubt that these findings will also be replicated in subsequent generations as well. These inquiries are important because as you said it’s not just lung development, you could be affecting a number of tissues. We haven’t published this, but we have strong data from MRI scans showing differences in brain development in the rat F1 and F3 generations following nicotine exposure in F0 generation. There are similar data from the other organs of F1 and F3 generations as well–these data will be published soon. Yes, I am aware of this study; the investigators found that all children of a select population with bronchial doublets had autism; this is a very intriguing observation, whether alternations in both bronchial and brain development seen in autistic kids could be linked to alterations to a common signaling pathway embryologically remains to be proven. I also recall a paper on increased incidence of asthma in kids with autism. There are some studies examining the co-occurrence autism and asthma; though most studies have suggested no or only a weak association, some studies do suggest higher prevalence of asthma in autistic kids and early screening might help in preventing asthma associated morbidity in these infants. Smoking was so much more prevalent in the 1950s, 60s, and 70s but we didn’t have this giant spike in autism births in the 50s, 60s, and 70s. So from a common sense point of view direct fetal exposure to cigarette smoke would not seem to be a significant contributor. You know, when I first started doing philanthropy in the area of generational effects of exposures I laughed at the idea that germline effects of smoking could have anything to do with autism— it just didn’t make any sense to me that something as common and mundane as smoking could be contributing. But after interviewing a great many autism families, it really came to light as a possibility. So many things are not obvious unless and until you start looking critically. For example, the nicotine-induced germ cell effects which we see carried on in our rats from generation to generation were surprising to us and were not obvious until we started exploring for these carefully and systematically. You have done work on broader themes about evolution and how phenotypes occur via different mechanisms. Could you tell me more about that? We have tried to boil down evolution to the smallest biologic structural unit of life, the cell, and how it evolved via communications with its neighbors. We focus on cell to cell communication, as a tool to adapt to a host of internal and external stresses, faced initially by unicellular and later by multicellular organisms, over the eons. That is how our contemporary genetic/molecular tools have evolved and became ingrained in our cellular machinery— cross talk between the cells forms the bases of all of the cell physiology, homeostasis, injury repair, aging, and reproduction. Basically you start with cross-talk between a sperm and an egg, and then the process continues at two-cell, four-cell, eight-cell, sixteen-cell stages, and so on, and by careful analysis the fingerprints of the molecular marks acquired during evolution that are capitalized in the making of a modern human can be traced during ontogeny. If you superimpose an insult that disrupts cellular homeostasis, like cigarette smoke, or infection, or cancer, there is resurgence of signaling pathways which can be as ancient as those present in yeast. These pathways developed billions of years earlier. As an archetype for this scenario, in our book, we describe how the pathogenesis of chronic lung disease can basically be viewed as “evolution in reverse”. Thinking about pathologies in an evolutionary and multigenerational context is so important, I thank you for all the groundbreaking work you are doing. And thank you. I am so glad for your efforts, I think that you are making a great contribution to public awareness and advancing science on deeper understanding of autism.